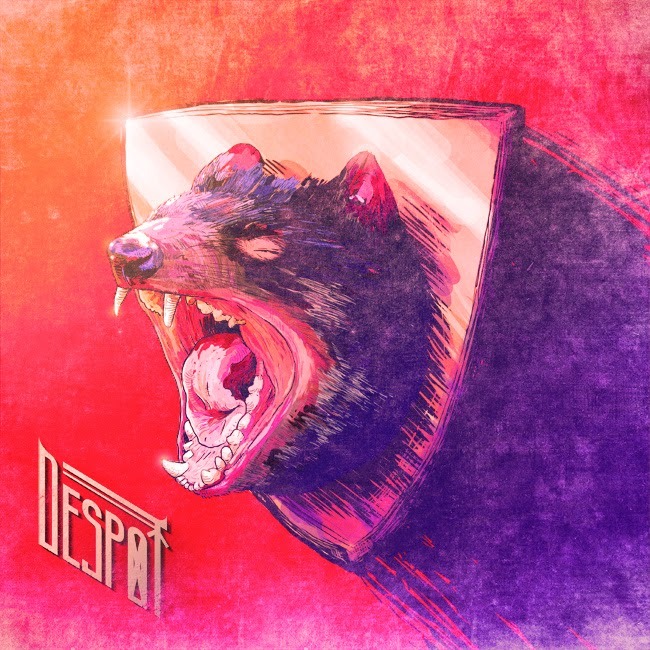 Don't be ashamed of yourself if you've yet to hear of Despot, a one man band from Brazil, because to date not many people have. Sole member Sadistivergenwalter, instead of trying to pronounce that let's just go ahead and use B.A.V., the alias he uses in Despot, formed the band in 2008 and has churned out three demos since. Now ready for his attempt at a full-length release, Satan in the Death Row marks Despot's debut LP. The album begins with a surprisingly lengthy atmospheric introduction that sets an obscured, otherworldly mood into motion. "Introduction: Divination" is a track that is impressionable enough to make a lasting impact well throughout the lifespan of the material, as the ensuing tracks are able to maintain this eerie vibe until the end. This quality is further enhanced by a large cauldron of ingredients that includes tolling bells, ominous Gregorian spoken word, echoes and light dashes of synthesizers. Although fairly dry, the placid guitar tone and distortion give an old, mystical feel to the tracks. The drums are made up of constantly shifting beats that make the most use out of the tom-toms that are present on the kit, combining them with light, quick hits of the hi-hat and cymbals. When the content begins to heat up, such as in "Satan in the Death Row"", the drummer incorporates rapid punk rhythms into his bubbling brew of patterns and rarely relies on overdone blast beats or double bass filler. Above all, "Egregious" is the track that defines the drumming on this album with a multifaceted arrangement of beats that effortlessly flow fluidly into one another, including the more obscure tribal patterns. This track is also one of the few where the bass guitar makes it's presence felt, with quick grooving lines that move from string to string as the notes cascade to the upbeat tempo. "Matriarch", "Satan in the Death Row", "Forbidden" "Egregious" and "Le Roi Nu" are some of the better hymns found within this content, each with their own defining characteristics. The listener will find themselves enjoying everything that the guitar has to offer, as it is constantly pulling off an assortment of hooks and hallucinogenic solos that will send one's mind into a spiral as the material progresses onward, especially within "Egregious". Some minor acoustics even come into play a couple of times throughout the album, although rare and minor they still seem to find a way to add to the compelling atmosphere of the material. While the songwriting is exceptional and the compositions are fun to listen to, the execution of Satan in the Death Row can come off a bit dry at times due to the tried and true tuning and distortion that has been heard a multitude of times across innumerable albums. However, the rich atmosphere and entertaining architectures more than make up for these minor imperfections. The vocals never find themselves becoming stale, as B.A.V. 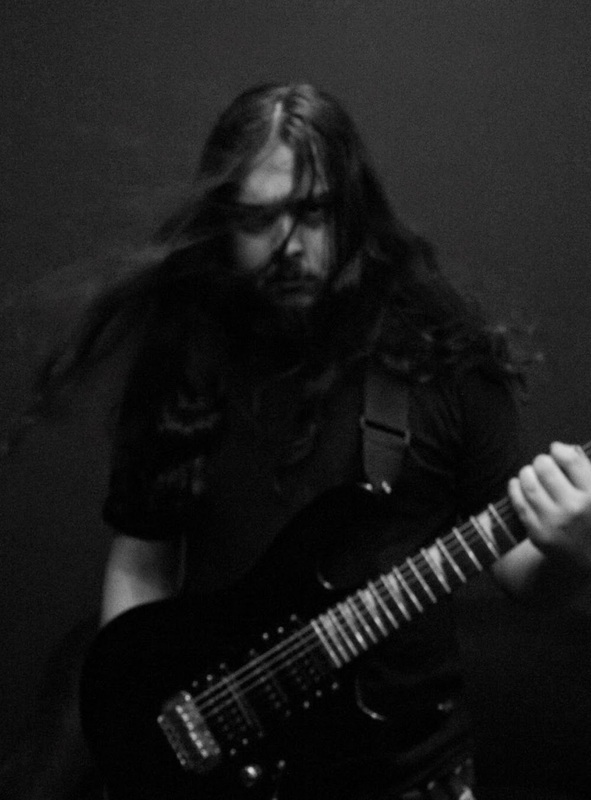 consistently switches between black metal shrills, death growls and haunting spoken word, while he keeps the rest of the instruments focused on aria, gratifying melodies and flowing solos. When the opportunity to hear the bass rises, the listener will discover that it's a highly satisfying element that doesn't get enough audible time; it may be better situated a little higher than the guitar, as it tends to get lost between the guitar and bass. More than worth a recommendation, Satan in the Death Row is the perfect album for fans of black death metal with a rich atmosphere.